It might not be the sexiest of subjects, but making sure you are properly insured is just as important as finding the perfect cruise ship to suit your taste and budget. After all, if something goes wrong far from home and you’re not covered, the financial consequences could be dire. Unfortunately, finding the right cover is easier said than done. You need time, patience and a degree in gobbledegook to sift through the small print in the different policies on the market these days. Google “cruise travel insurance” and a bewildering number of companies pop up. Even comparison websites aren’t much help. A search for an annual cruise travel policy on MoneySupermarket.com elicited 52 results, ranging in price from £32.58 with InsuraTrip to £507.22 with Primary Insurance. So which to choose? It is tempting to go with the cheapest, but a quick check showed that although most included emergency medical care at sea – very important if you are taken ill hundreds of miles from the mainland – other benefits varied widely. When you’re buying cruise travel insurance, there are six essentials to make sure you’re covered for: medical emergencies, cancellation, curtailment (if you have to cut your holiday short), personal accident, personal liability and legal aid. It is also vital that the sums insured – in other words the maximum you can claim – is sufficient in each case. Medical costs are always well taken care of. Cover will be for at least £5 million, which is more than you would probably ever need, even if you have to be airlifted from ship to shore. But watch out for cancellation. If your cruise costs £4,000, it’s no good if your policy only covers £2,500. While not strictly necessary, other benefits are well worth having. Favourites include compensation for a delayed flight, or new clothes because yours have flown to Timbuktu instead of Barcelona. Policies also pay out if you lose your belongings, money or passport; some cover you if your hotel is damaged or you rack up extra accommodation costs because you can’t get home. 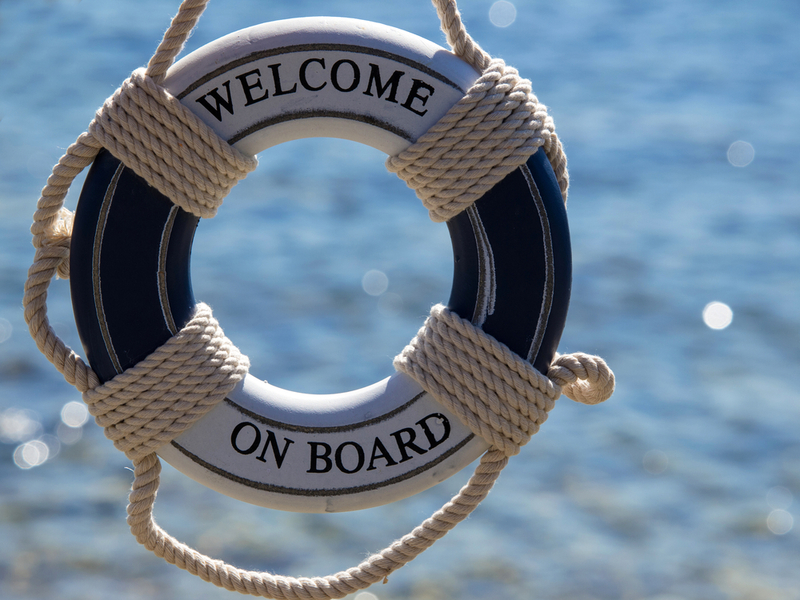 Cruise-specific policies will also include compensation if you have forked out for tours you can’t take, or are confined to your cabin on the orders of the ship’s doctor. Some pay out if your ship misses a scheduled port, others include extra baggage cover. Saga (www.saga.co.uk) has one of the best cruise insurance policies on the market for those sailing on its own ships. This offers a generous £10,000 curtailment cover for sailing in Europe, or £50,000 for cruises to other parts of the world (unusually, cancellation is covered in the holiday contract). The policy also pays out up to £2,500 for lost valuables. You have to be aged over 50 to qualify, but whereas most insurance companies baulk at covering anyone over 70, Saga’s is open to all if they are hale and hearty. For those yet to hit 50, Admiral (www.admiraltravelinsurance.co.uk), Essential Travel (www.essentialtravel. co.uk), Cover for You (www.coverforyou. com), Avanti Travel Insurance (www. avantitravelinsurance.co.uk) and Columbus Direct (www.columbusdirect.com) all offer specialist cruise cover as an add-on to basic travel insurance. Additional cruise cover will cost you, however. Avanti’s Classic single-trip travel insurance comes at £66.77 for two weeks’ worldwide cover, but adding the cruise package raises this to £142.41. Essential’s Plus policy is priced from £31.61 for two weeks in Europe; the cruise package adds an extra £14.23. And these are prices for people who are fit and healthy. Those with pre-existing medical conditions can expect to pay a lot more. A big benefit of cruising with Saga is that the company includes the cost of its specialist cruise insurance in the price of the holiday (note that for its river cruises there are lower sums insured). Those aged over 50 who are cruising with another company can buy a standard Saga travel insurance with similar benefits. Two weeks cover for a cruise in Europe costs from £24.10 for a traveller aged 50 with no notifiable medical problems. Before any travel insurance is issued, your insurer will want to know if you have any previous or existing illness or injury that might mean you need expensive treatment when you are abroad. This could be anything from a stroke to high blood pressure or diabetes, or that you take regular prescribed medication. It is annoying to have to declare an illness or injury from long ago, especially if it means the insurer increases the premium to cover the extra risk, but if a past condition crops up while you are on your cruise, and it hasn’t been declared, your insurance company could refuse to pay for the cost of treatment. Some companies will not cover to people with serious pre-existing medical conditions, but others including Saga and PJ Hayman will assess the risk and alter the premium accordingly. are covered; likewise that they will be covered for all the countries being visited. Another option for circumnavigators to consider is PJ Hayman (www.pjhayman.com). Its cruise insurance covers single trips up to 186 days away, has no upper age limit and will discuss covering pre-existing medical conditions for an additional premium. The policy has £10,000 cancellation cover and pays out £100 if you miss a port (up to a maximum of £500). Other cruisespecific benefits include cover that pays out if formal wear is damaged, lost or stolen, and £50 a day compensation for those who are confined to their cabin by the ship’s doctor because of illness (up to a maximum £1,000). ✔Do read the small print. Or at least skim through it so you know the main points. It’s very long and boring – and very small – but it is important to know what you are not covered for. ✔Do make sure you have a European Health Insurance Card. Some insurance companies require it; Saga Insurance won’t charge the excess if you have used the EHIC card to reduce the cost of treatment. ✔Do buy your insurance at the same time as booking your holiday, so you are covered if you need to cancel. Make sure the cancellation cover matches or exceeds the cost of your holiday. ✘ Don’t buy a policy on price. You can be pretty sure it will not be right for you. Choose based on your personal requirements. ✘ Don’t leave baggage unattended at any time because it will not be covered. Make use of the safe in your cabin to store valuables. ✘ Don’t claim for more items than you have lost. Travel insurers are a savvy lot and will pay out quickly for realistic losses but stall if they smell a rat.